The Mediation Center of Colorado offers expert services in divorce, family, organizational, and workplace mediation, group facilitation, conflict management consultation, and management coaching. With offices in Glenwood Springs, Aspen, and Rifle, Larry Dragon provides the most experienced and professional mediation services in Western Colorado. 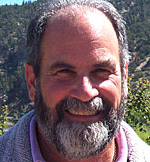 In 1993, Larry was appointed by the Colorado Judicial Department's Office of Dispute Resolution (ODR) as the first contract mediator for the Ninth Judicial District, which includes Aspen, Carbondale, Glenwood Springs, Rifle, and Meeker. He currently serves as coordinator for this district's mediation program.